Vinales, 쿠바의 빌라 라스 아레카스 | 호스텔월드에서 예약하세요. 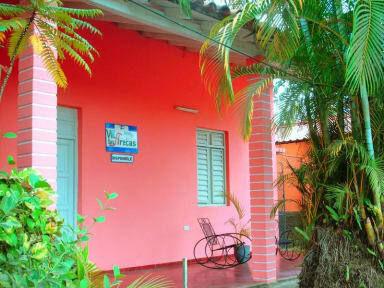 Villa Las Arecas is a central colonial house located in the village of Viñales just 3 blocks from the main square. We are a humble family, Creole, and Guajira that we want to share with you the natural beauties of our area. The Vinales Valley, its caves, rivers, mogotes, tobacco and coffee, but above all its cubanity when it comes to sharing a mojito, a free bowl, a Creole coffee and a tobacco in the company of friends or family. We wait for you. We also offer service like breakfasts, lunches, snacks, dinners and the best cocktails. We also provide taxi service to visit beaches, caves, tobacco estates and any other excursion that is of your preference. In addition to traditional dance classes, massages, horse riding, climbing, bike rides, hiking in the Valley, laundry service. Finally in our house will be offered the best attentions so that you feel safe, relaxed and as a family. We will be available 24 hours for any need. Villa Las Arecas the perfect place to vacation. When you arrive at the villa no matter what time you are, you can taste a delicious natural juice or a free Creole coffee prepared by your hosts Gladys or Ernesto. 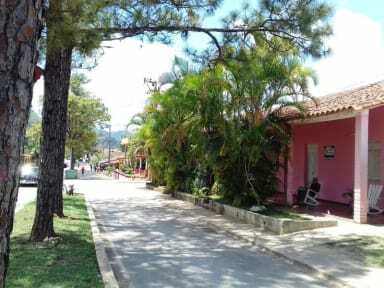 Villa Las Arecas is located in the center of the town of Viñales just 2 blocks from the main street, 100m from the Wifi area which makes it a very practical stay for those who visit. We offer three independent rooms, with private bathroom, air conditioning and good comfort, one of them has balcony terrace with an exclusive view of the village and its mountains, the others with a large terrace and garden. Our rooms are spacious, with good light, perfect for reading, tranquillity and independence, surrounded by a typical atmosphere. Check in: flexible - we still advice guests to contact the property before arrival.